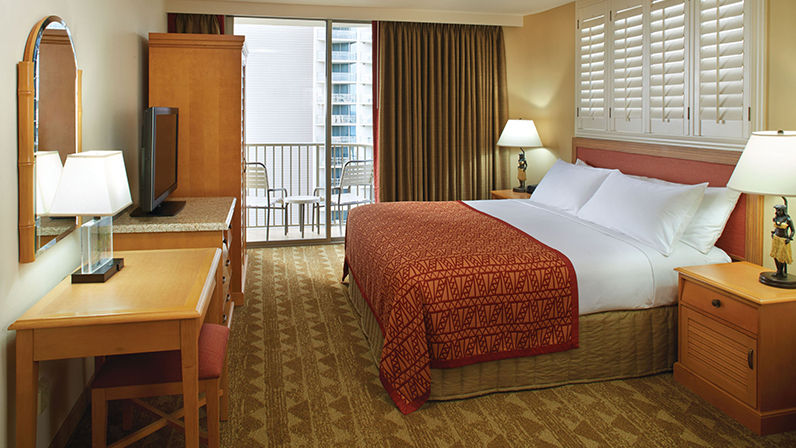 All our rooms are suites, providing a separate living room with a sofa sleeper and a second HD television for visitors who appreciate or need additional space. 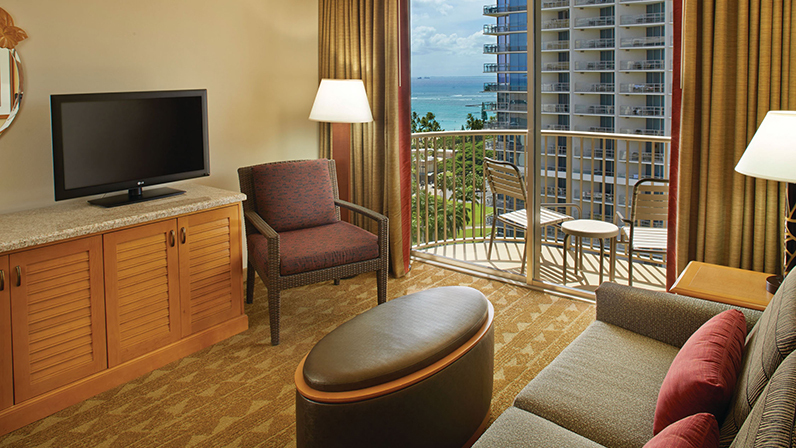 Authentic Hawaiian decor, comfortable beds and an exceptional array of features and amenities are our way of extending aloha to our guests. Each of our suites' bedrooms has its own well-appointed bathroom, offering the space and amenities normally reserved for luxury hotels. One Bathroom in Each One-Bedroom Suite.